Can I have a centre pivot window on a flat roof? 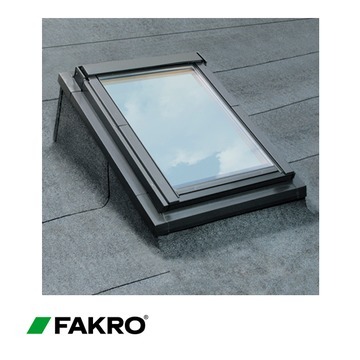 Yes you can certainly install a pitched roof window on a flat roof with a roof pitch which is no greater than 15 degrees. If you would like to purchase an upstand you will need an EFW kerb upstand. You do not require any additional parts.